BHP's joint venture coal business has struck a $100 million deal to sell its Gregory Crinum coal mine, north-east of Emerald, to Japan's Sojitz Corporation. About 300 jobs will be eventually created as Sojitz also develops the neighbouring Wilton-Fairhill project, between Blackwater and Middlemount, for Futura Resources. Up to 150 jobs will start next year. 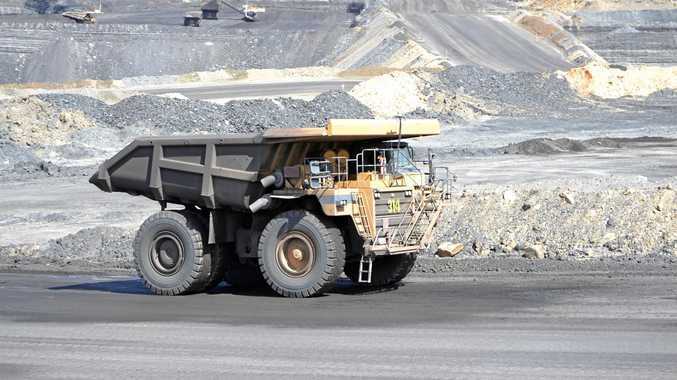 The deal is a significant boost for the Queensland coal sector and Sojitz's chief executive Cameron Voria said as much as $2.5 billion in royalties would flow through to the Government over the next 20-years from the two mines. BMA, a joint venture between BHP and Mitsubishi, closed the Gregory open cut mine in 2012 and the Crinum underground closed in 2015 with the loss of 200 jobs. It bought the project on the market late last year. BMA asset president Rag Udd said although Gregory Crinum still had a reasonable resource of about 120 million tonnes it didn't fit the company anymore and the options were to rehabilitate it or sell it. "The challenge for us is that if we started to rehabilitate the site we would be burying that coal,'' Mr Udd said. BHP will also pay the cost of rehabilitation and Sojitz said work would start on that as a priority. The amount to be set aside by BMA for the rehabilitation has not been disclosed but Mr Udd said it was greater than the financial assurance guarantee held by the State Government. Mr Voria said the company would operate the projects as residential mines, meaning the jobs will be for people in the Emerald region. Sojitz also has a plan to develop a solar farm at the Gregory site. "That's very much on our radar,'' he said. "We have always been seeking a hub for mining out of the Emerald location. "The company was wanting to move into metallurgical coal as part of the global decarbonisation issue. "We want to be back mining at Gregory Crinum in the first half of next year. "Between the Gregory Crinum restart and the development of Wilton-Fairhill we are talking 300-plus people."